The new Business Today-YES Bank survey of mid-sized, unlisted companies unearths little known but fundamentally sound, fast-growing companies. Will they be the giants of tomorrow? There are thousands of companies - in different corners of India, some with revenues of hundreds of crores - we know little about because they are not listed on stock exchanges. At Business Today, we felt we needed to unearth the gems among them and bring them into the limelight. 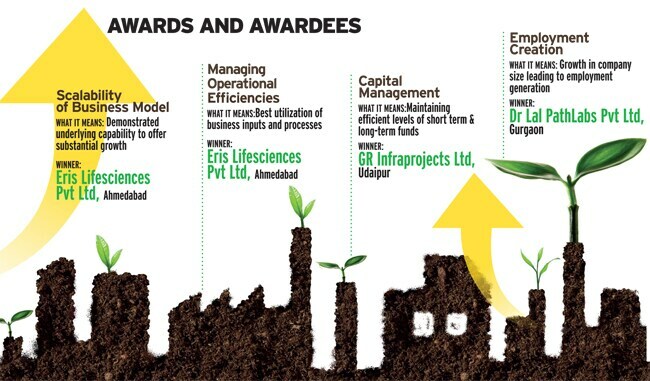 To this end, we launched the "Emerging Companies Excellence Survey & Awards" this year. Our knowledge partner is YES Bank, which also partners us on the Best SME and Best CFO surveys, and procedure reviewer is PricewaterhouseCoopers (PwC). In this inaugural year, we identified nine award categories. These awards can be broadly classified into two kinds - financial and non-financial. It was mandatory to apply for the five financial categories, while participation in the three non-financial categories was voluntary. There was also the overall Best Emerging Company award. Companies that were unlisted, had revenues in 2011/12 between Rs 200 crore and Rs 1,000 crore, and had existed for at least five years qualified to apply. We did not apply a maximum limit for company age as we wanted to encourage all unlisted companies to apply and familiarise themselves with the survey. Multinational companies and public sector enterprises were not included. To start with, we sought the help of the Ministry of Corporate Affairs for databases of unlisted companies through the Registrar of Companies. The companies on these lists were then contacted by YES Bank through its network of representatives. The application form was also available online for companies to apply. As many as 526 companies from all over India applied. Their applications were screened by YES Bank's research and analytics team for completeness and accuracy, and global filters were applied - turnover and vintage parameters, plus positive profit, net worth and revenue growth over three fiscal years ending 2011/12. This process whittled the list down to 332 companies, which were then approached for audited financial reports and other information. After filtering out companies that did not send the required documentation, 177 of them were chosen for Phase II of the process. Phase II began with a generic evaluation - based on parameters such as profit margin growth, revenue growth, return on capital employed, etc. This was followed by awardspecific evaluations. For example, for 'global business excellence', parameters such as export growth, exports as percentage of net sales, number of countries exported to, etc, were used. A category like 'employment creation' was not a simple matter of just how many employees companies had hired, but also about profit as a percentage of number of employees, etc. For the non-financial awards, expert opinion was solicited of industry leaders and academicians from varied sectors and their scores taken into consideration. The generic evaluation and award-specific evaluation scores were then combined in 40:60 weights to arrive at final scores for Phase II. The results of each phase were reviewed by PwC, and their suggestions and corrections incorporated. The top three scoring companies in each category were then presented before a jury panel. The jury was chaired by Ashok Chawla, Chairman of the Competition Commission of India, and included G.N. 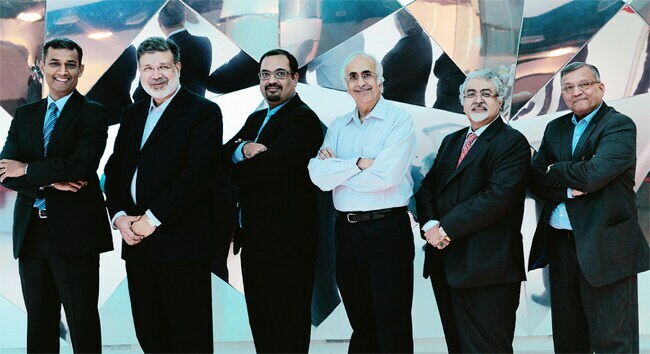 Bajpai, former Chairman of SEBI and currently Chairman of Future Generali India Insurance Company; Shardul Shroff, Managing Partner of law firm Amarchand & Mangaldas & Suresh A. Shroff & Co; Ravi Sud, Chief Financial Officer of India's No. 1 two-wheeler company Hero MotoCorp; and Bakul Dholakia, former director of IIM Ahmedabad and currently Director of Adani Institute of Infrastructure Management and Gujarat Adani Institute of Medical Sciences. While the choice of winners for eight categories went smoothly, the jury disagreed with our methodology for the Best Emerging Company award. Nine financial parameters had been processed to churn out three nominees. But the jury felt that companies which had not applied for the corporate governance award -a voluntary participation category - should not be considered. So, we went back to the drawing board. We picked out the names of companies that had applied for corporate governance. There were 22. These were then ranked by how many times they featured in the top five of the other eight award categories. The names of the three top nominees that emerged were then emailed to individual jury members, who then sent in their scores. The results of this exhaustive exercise are laid out before you across the next few pages. We hope you will enjoy reading the stories of the companies we discovered as much as we enjoyed finding them.